Working hours of the Conference: 9:00-10:00 – Registration. 10:00-18:00 – Conference. The annual blockchain conference in Stockholm, which brings together the world’s leading crypto experts. We focus on Sweden and foreign projects implementing Blockchain and cryptocurrencies. Experts share their experience of implementing Blockchain in governmental institutions (Govtech), the banking system, trading, media, healthcare and other spheres. We discuss all the aspects of creating innovative IT products – from the emergence of an idea to entering the market. For whom: investors, businesspeople, lawyers, startup founders, and those aiming to launch a token sale. Why: to receive full information with case studies about the blockchain application, to discover how to comply with the legal norms in the blockchain industry, to find business partners, and to enhance your brand awareness. Speakers: world-renowned blockchain experts, including government officials, foreign investors, entrepreneurs, lawyers, and developers. 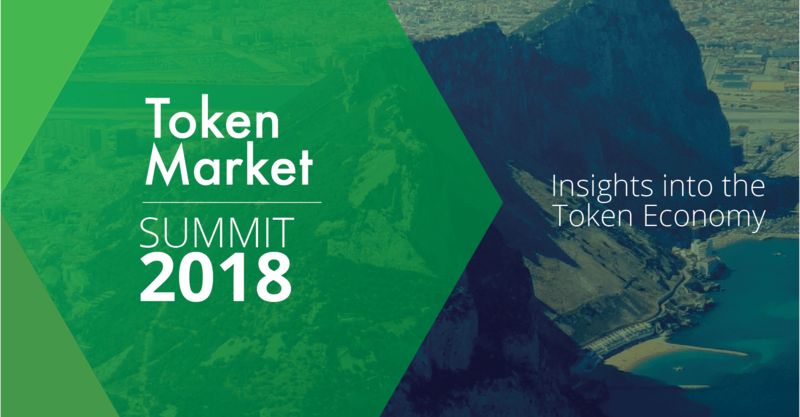 TokenMarket Summit Director of Marketing Tom Leadbetter announced updates to the main tokenmarket.net website and introduced TokemMarket Cap. Leading with the goal of the original TokenMarket site, “to help users better unearth information about crypto & blockchain project, allowing them to make decisions on where they invest their time and resource”, Tom went on to explain that while the site has provided this information to all users, the market has moved on. The US Securities and Exchange Commission issued its disapproval of proposed rule changes that would have allowed the listing and trading of the Winklevoss Bitcoin Trust on the Bats BZX Exchange. The “Winklevoss Bitcoin Trust,” as its name might suggest, is the creation of Cameron and Tyler Winklevoss, notorious figures in the prehistory of Facebook, and ubiquitous figures in the world of Bitcoin. Technically the SEC decision on Thursday reaffirmed an earlier Disapproval Order, in March of this year. Bats BZX had petitioned for review of that disapproval order, and the SEC gave it a full-dress second look, a de novo review, giving “careful consideration to the entire record, including … all comments and statements submitted by BZX and other parties,” only to decide that the agency had gotten things right the first time. The decision was not a unanimous one. Commissioner Hester Peirce dissented. The significance of the defeat of this proposal in the bigger picture of cryptocurrency history may be the extent to which her dissent throws light upon her thinking on the broad subject: she is the newest Commissioner, having just been confirmed in December 2017. Major auditing firm PricewaterhouseCoopers (PwC) Switzerland has agreed to conduct an independent audit of the Tezos Foundation’s finances and operations, the foundation announced on Monday. PwC, considered one of the “Big Four” auditing firms, will review the finances of the Tezos Foundation, which is holding hundreds of millions of dollars worth of cryptocurrencies and other assets raised from the project’s then-record initial coin offering (ICO) in summer 2017. Bitmain's series B funding closes to create the largest global cryptocurrency conglomerate in China. China’s dominant bitcoin mining manufacturer has become the largest crypto conglomerate in the world after securing a new round of Series B funding. Caixin news agency reported last week that Bitmain has secured between $300 million and $400 million in new funding from Sequoia China, U.S. hedge fund Coatue and Singapore-based EDBI, effectively becoming the largest cryptocurrency company in the world. With the latest round, Bitmain’s total value has swelled to $12 billion. Bitmain is making waves across the blockchain industry, having recently announced plans to purchase roughly 43% of Opera Ltd., a Norway-based internet browser that has filed for an initial public offering with Nasdaq. Ukranian miners can now be at ease, as officials have stated they have no intention of regulating the popular crypto mining. Up until now, cryptocurrency miners in Ukraine have been living in fear and uncertainty. Crypto mining companies worried they would be fined, eventually, or that somehow their equipment could be seized. However, officials from the State Service for Special Communications and Information Protection of Ukraine have clarified the department currently has no interest in issuing regulations for cryptocurrency mining. A representative from the Office of Effective Regulation, Igor Samohodsky, emphasized crypto miners have been operating in the shadows, fearful of the repercussions. Ukrainian crypto miners are allegedly generating more than $100 million a year which would generally attract authorities, but not in Ukraine. The country has proven to be extremely crypto-friendly, going as far as erecting a statue in Satoshi Nakamoto’s honor. The plans were announced earlier this month, and the statue is expected to be where once Lenin’s stood. Based on the facebook investigations does the Senate even know enough about crypto to make an intelligent call? 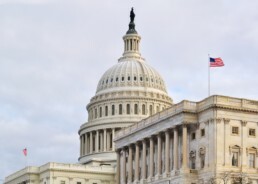 Cryptocurrencies are "tailor-made" for foreign powers hoping to influence American elections, a security consultant told a group of U.S. senators on Tuesday. Scott Dueweke, director of threat analysis company DarkTower, was one of several witnesses appearing before the Senate Subcommittee on Crime and Terrorism to discuss the potential use of cryptocurrencies by foreign agents in order to influence American elections. He argued that lawmakers must focus on identity solutions to prevent undue foreign influence on upcoming elections. "There is a global shell game being played now," by people hoping to bypass financial disclosure rules, he said. As a result, they are purchasing political advertisements and donating to certain parties in efforts to influence elections. "They exchange one form of money for another … fiat currency in and fiat currency out, but in between you're going to have these multiple layers of cryptocurrency that are going to be impossible to track." Florida's taking the crypto lead with a new State position. Florida is set to have its own cryptocurrency czar. 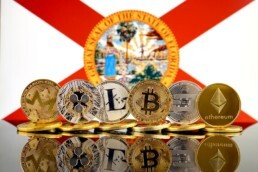 The Sunshine State's chief financial officer, Jimmy Patronis, said in a statement Tuesday that he has created a new position to supervise the state's cryptocurrency industry. He explained that the new overseer will be tasked with enforcing applicable regulations to protect investors from potentially malicious actors. "Florida can no longer remain on the sidelines when it comes to cryptocurrency. I have directed my office to create a position that will oversee how current securities and insurance laws apply to Initial Coin Offerings (ICOs) and cryptocurrencies as well as shape the future of these regulations in our state," Patronis remarked. TheTokener will be rolling out a video tutorial series to enable you to develop your own smart contracts. TheTokener is excited to announce that we are launching a video tutorial series for developing smart contracts! With the help of Solidity programming language, in this series, you will find everything you need to know in order to get started with your own smart contracts. Cryptobriefing ran an interview with Yassin Hankir of Savedroid, who secured a bit of notoriety by faking an exit scam. The nightmare of many an investor in ICOs is that the whole thing is a con, and that the con artists’ exit strategy is an anonymous beach somewhere and a secret bank account. Hankir dramatized that nightmare. After raising $50 million in Savedroid’s ICO, he tweeted out a photo of himself in an airport, in front of a departures-and-arrivals screen, making a thumbs-up gesture. This he juxtaposed with another photo: of a bottle of beer on a beach. Savedroid is still around, and it has 100,000 installs on the Google App store. 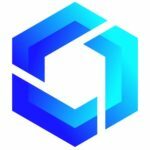 Its website claims that the token (SVD) will soon be listed on exchanges. But as Cryptobriefing observes: it isn’t yet. And the make-believe scam did it no favors.